Failure to Investigate or Present a Defense Is Generally Ineffective Assistance of Counsel. When Your Freedom Is At Stake You Need The Best Legal Help Available. The failure to investigate or present a defense are potentially major mistakes a criminal defense attorney can make. A great criminal defense attorney will leave no stone unturned to make sure that the client has every opportunity to face the prosecution’s charges with defenses. A great criminal defense attorney will have experts that can assist the attorney in formulating defenses, such as private investigators. When your freedom or livelihood is at stake you do not want to trust your future to just “some” attorney, a “low cost” lawyer or an attorney who does not specialize in cases like yours. You want the best legal help available. In People v Carol Sue Kusk, a recent decision by the Michigan Court of Appeals, the court determined that defense counsel’s failure to request a self-defense instruction was not part of trial strategy and was performance that fell below an objectively reasonable standard of performance. The case involved a credibility contest between the defendant and the victim. Defense counsel not seeking a jury instruction to allow for a finding of self-defense was ineffective assistance of counsel. This is especially true when there was a reasonable probability that the outcome of the case would have been different with that instruction. This was a major mistake by defense counsel in the Kusk case. The decision was reversed by the Michigan Court of Appeals. That case should have been done correctly to begin with and not have to rely on a higher court to correct counsel’s error. You can expect a case to be handled correctly to begin with when you retain the services of Lewis & Dickstein, P.L.L.C. Every possible defense should be employed to ensure you receive the maximum protection under the law. Ineffective assistance of counsel are words that no defense attorney wants to hear but some care more than others. If an attorney does his job to the best of his ability, generally that will suffice and be “good enough”. Lewis & Dickstein, P.L.L.C. is not satisfied with just being “good enough”. 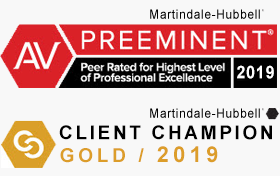 The firm prides itself in being great and obtaining extraordinary results. The firm prides itself in getting good recommendations from former clients, other lawyers and judges. Lewis & Dickstein, P.L.L.C. 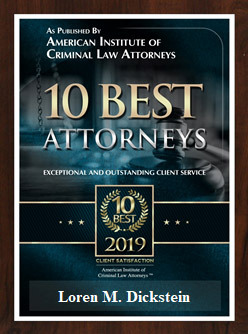 has award winning attorneys who take their role in representing criminal defendant’s extremely seriously. The firm’s attorneys have spent their entire legal career doing nothing but representing people facing misdemeanor and felony offenses at the state, local and federal level. If you have any questions or issues, please call Lewis & Dickstein at (248) 263-6800 or complete a Request for Assistance Form and one of our attorneys will promptly contact you. We look forward to hearing from you and we will do whatever is possible to help you.